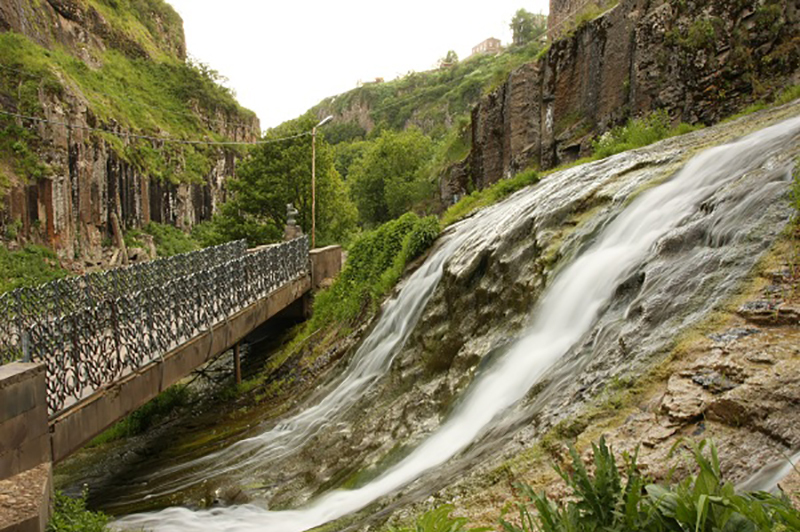 Armenia was known for its health resorts, sanatoriums, and spas. There are more than 350 groups of mineral springs of various chemical composition of the balneal classification. 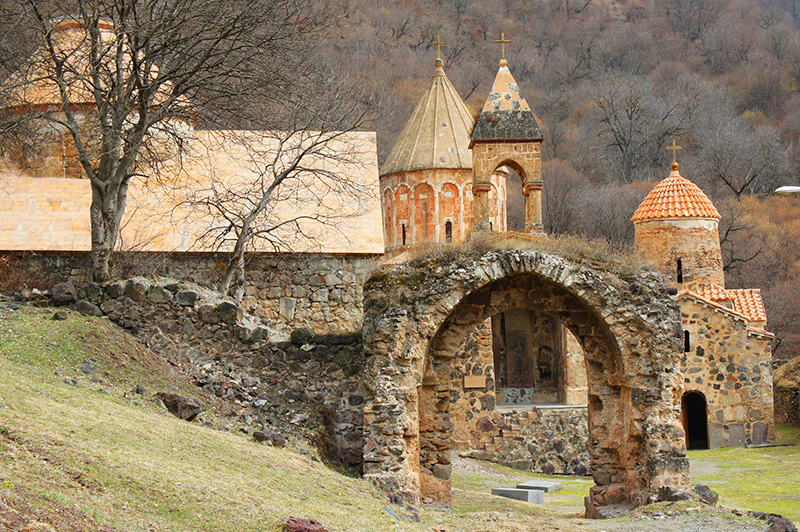 The most famous resorts and spas are located in Arzni, Jermuk and Dilijan. 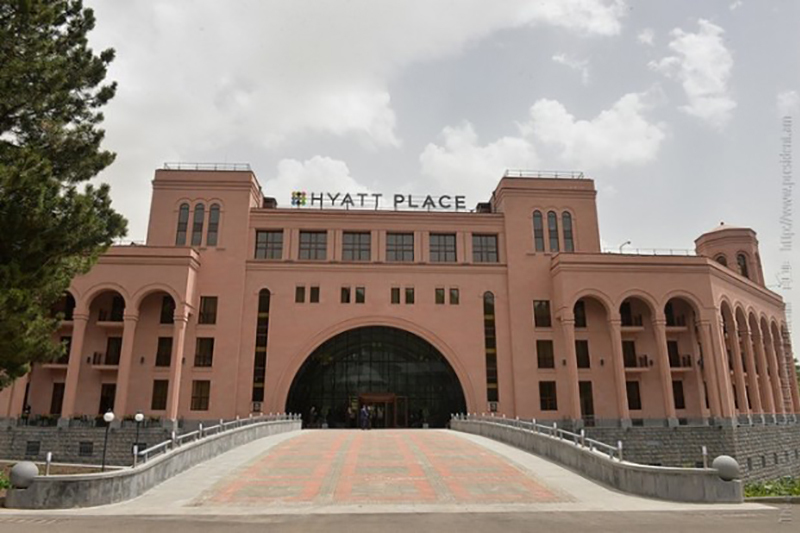 These places offer you the best clinics and health resorts in Armenia, equipped with modern equipment and known for their great customer service. 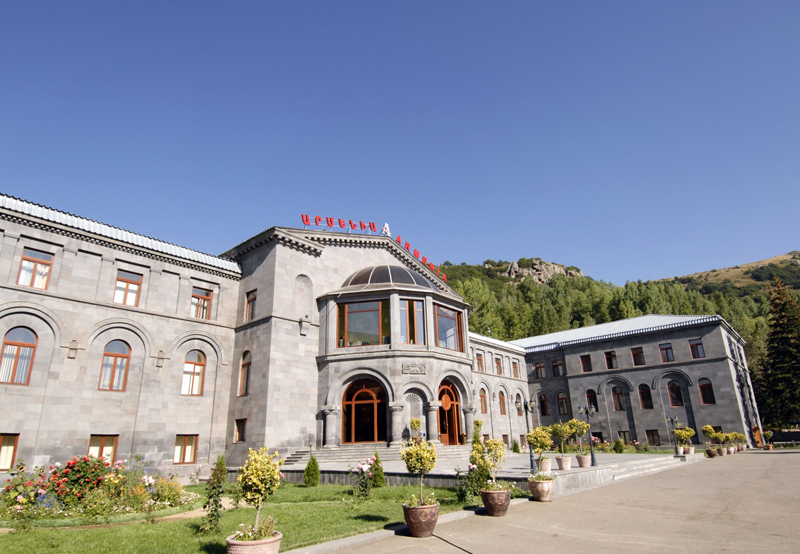 One of the most famous places in Armenia and perhaps all over the world for treatment of gastroenterological and many other diseases is Jermuk resort. 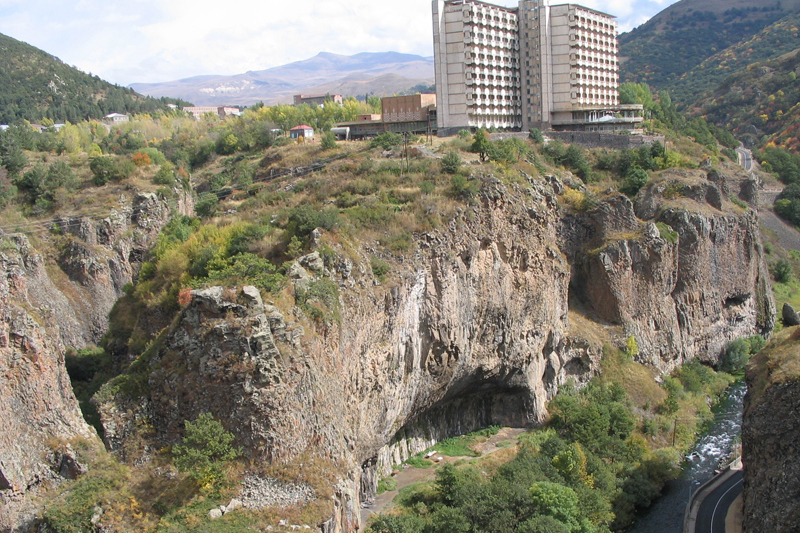 In Armenian Jermuk means ,hot spring,. We find records of it dated 1st century B.C. 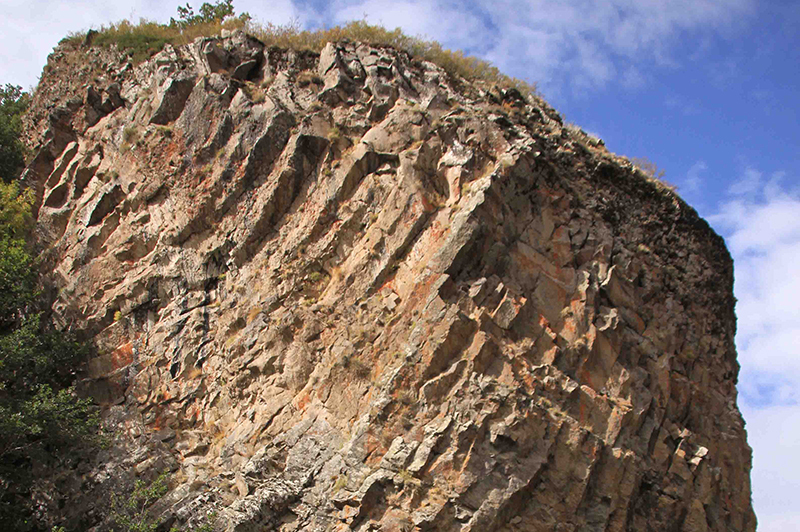 The first scientific research expedition came here to study the medicinal characteristics of the spring in 1925, after which a decision was made to found a mineral-water based resort town in Jermuk. Jermuk resort is located in the south-eastern part of Armenia, in upstream river Arpa, on the altitude of 2,100 meters above see level. It is a plateau surrounded by mountain ranges, alpine meadows, and forests. The air in this place is incredibly clean and filled with flower flavor. 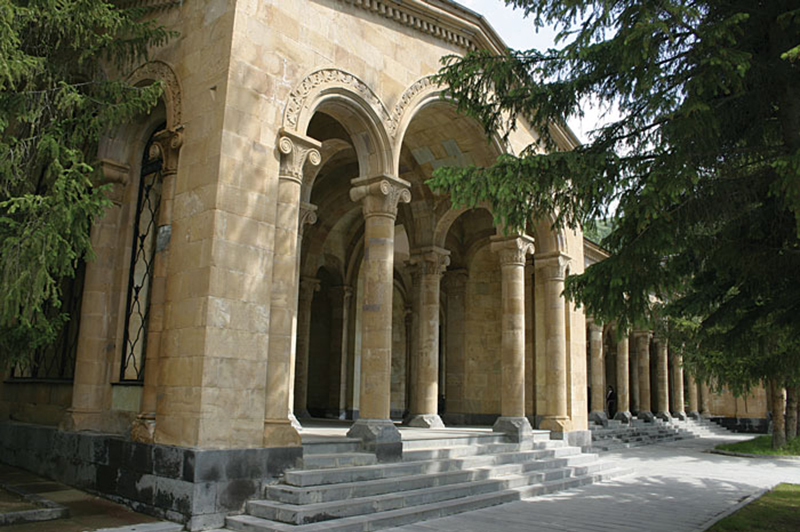 The first health resort was opened in Jermuk in 1940. Currently, the sanatoriums, spas and resorts of Jermuk offer mud cure, magneto-therapy, physiotherapy, therapeutic massage. Diseases of the gastrointestinal tract, musculoskeletal system, liver and kidneys, nervous system, as well as gynecological, dermatological and proctologic diseases are also treated here. 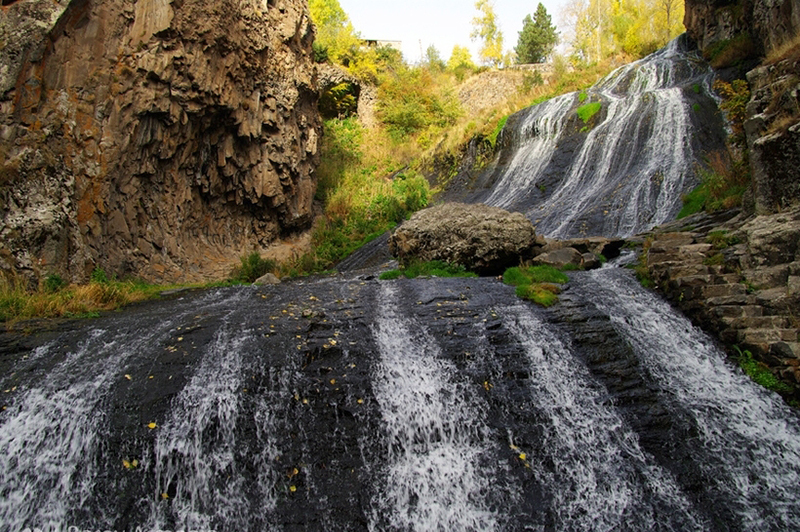 The high-temperature mineral waters of Jermuk belong to the compound class and contain carbonic acid, hydrogen carbonate, sulphate, chlorine, sodium, potassium, calcium, fluorine, bromine, magnesium. They are used as drinking water and for baths, provide therapeutic action for diseases of digestive apparatus, liver, metabolic and nervous system disorders, and many other chronic diseases. 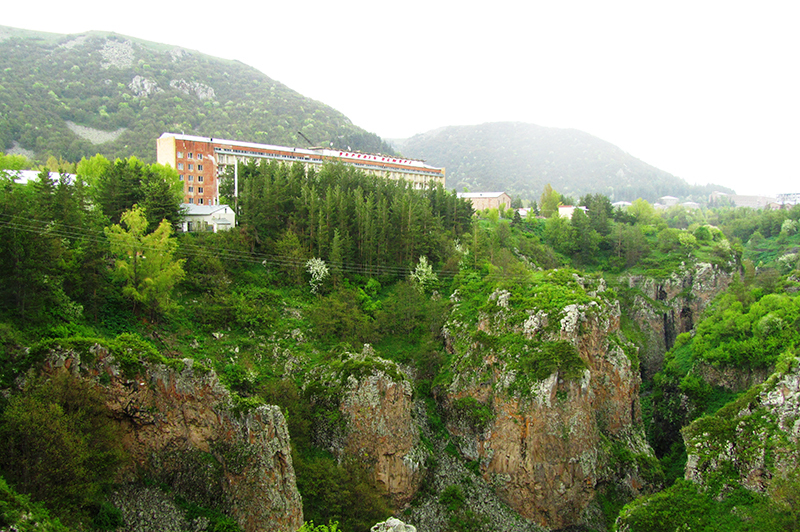 The high quality of Jermuk mineral water in combination with the unique landscape and climate of the resort and its surroundings, make an effective therapeutic impact on human organism. 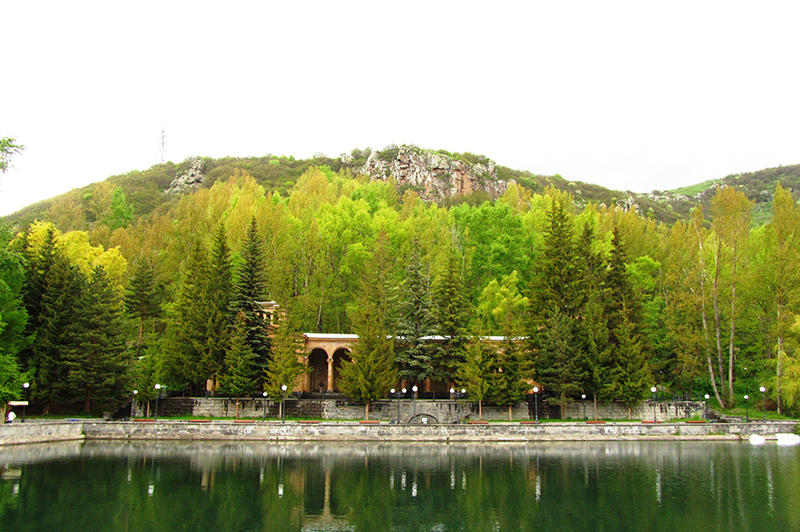 Jermuk resort city is situated on south-west of Armenia, in the upper river Arpa. It was a popular destination during the Soviet era and nowadays is still famous for its hot springs and its brand of mineral water that is bottled in the vicinity. The town is considered to be attractive for its huge waterfall, the natural bridge, the lake, its forests with its walking trails and mineral water pools. 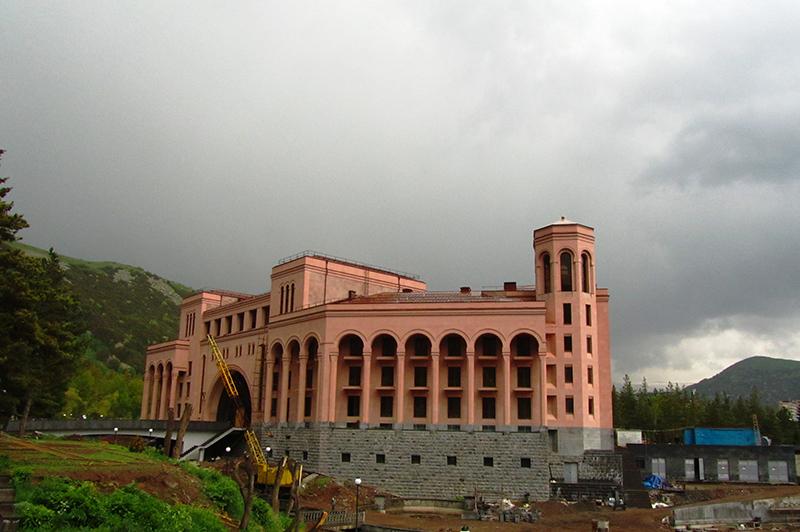 Jermuk is currently being redeveloped to become a modern centre of tourism and health services. 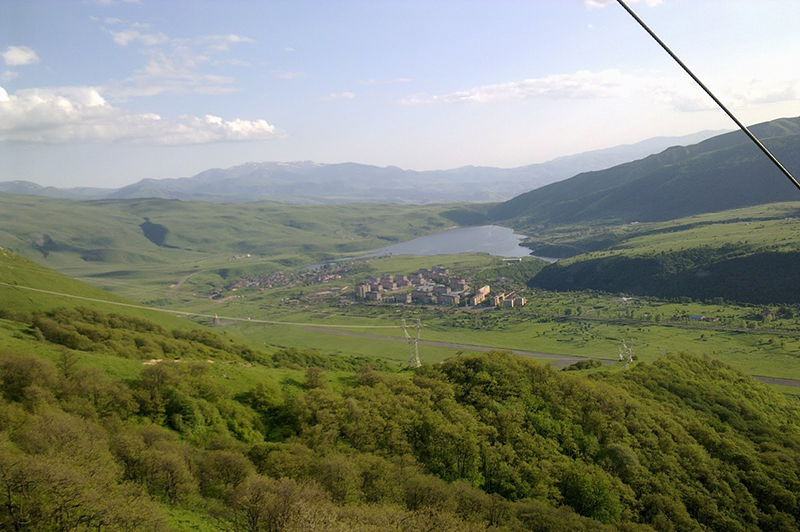 The town is located at a height of 2080 meters above sea level, within the mountains of Vayots Dzor, among thick forests, on a plateau divided into two parts by the gorge of Arpa River, 170 km south-east of Yerevan. 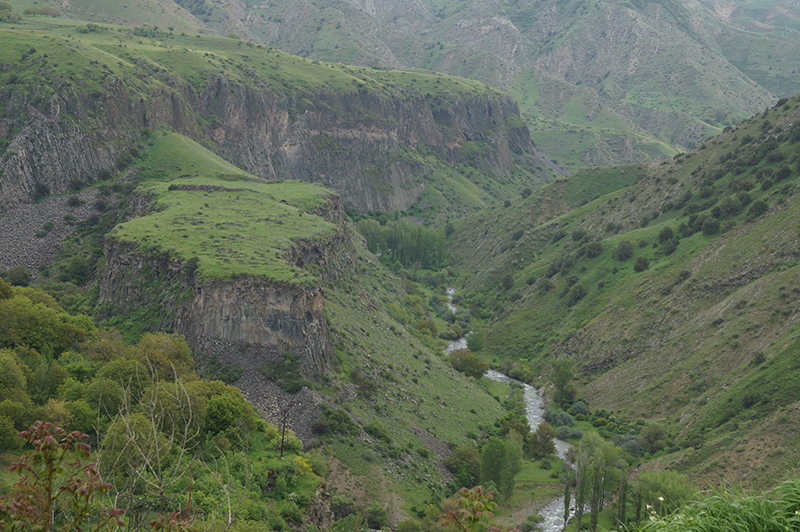 Surrounding mountains of Vayots Dzor, Vardenis and Syunik are all covered with forests and alpine meadows at a height of 2500–3000 meters. 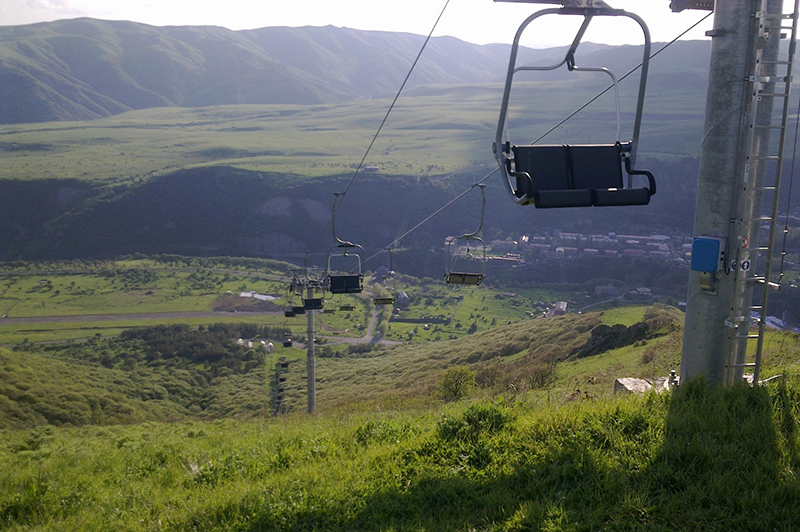 Predominance of sunny days, healing waters, mild climate, ultraviolet rays, rankness, moderate humidity and other conditions contribute Jermuk to be considered first-class health resort zone and recreational area. 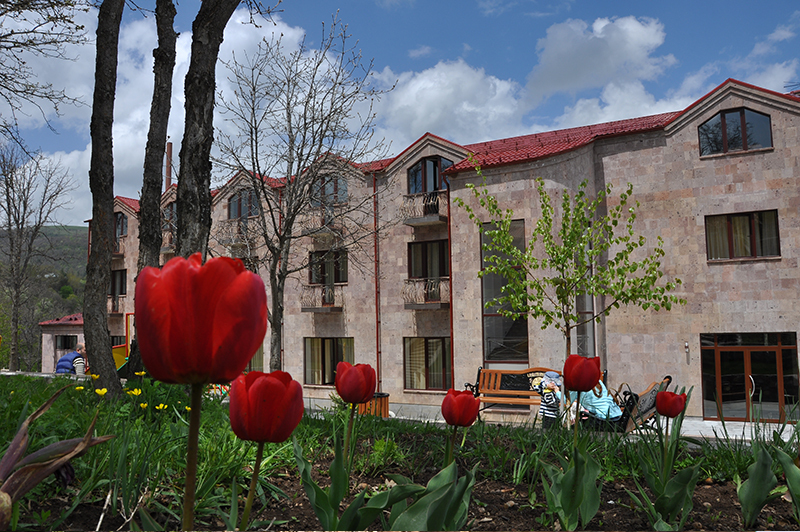 The air in Jermuk is absolutely pure, free of dust and full of flowers fragrance. The town climate is typically mountainous, summer is not very hot, and winter is long and snowy. The treatment of health – resorts includes external and inner using of terminal water, medical nourishment, climatic, physiotherapeutic procedures, regimen, etc. Diseases of gastroenteric tract (gastritis, gastric ulcer and duodenum, hepatitis, cholecystitis, pancreatitis, colitis, enterocolitis). Diseases of support – motor system. Diseases of urogenital system (chronic inflammation of renes, urolithic disease, inflammation of urinary bladder, chronic inflammation of sexual organs). Infringement of metabolism (diabetes mellitus, adiposity, uratic diathesis). Clinico – biochemical analysis of blood and urine.